Our resources section has been developed to provide information of interest to our site visitors and specifically to those in the south-east of England. 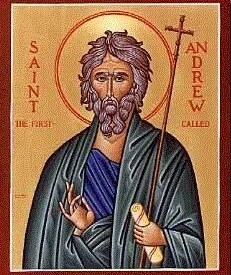 Saint Andrew is the Patron Saint of Scotland, and Saint Andrew’s Day is celebrated by Scots around the world on the 30th November. Father John O’Malley, parish priest of The Neale, Co Mayo, was the inventor of the word ‘boycott’ and Mr James Redpath, the American journalist, who came over to write the terrible story of the land war in Ireland accords O’Malley credit for inventing the word for him. Here are just a few phrases in Irish but the pronunciation may be difficult for beginners. It also differs from province to province. Why not come along to some classes to learn how to master it? 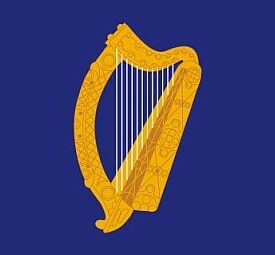 As with many nations, there are a number of flags that represent Ireland at home and abroad here are just a few. History books too long, try our Shorter History of Ireland – first published in the Crawley Irish Festival 2007 programme. Ireland has rarely been considered a cricketing nation, but the 2007 Cricket World Cup began a new chapter in Ireland’s sporting history as Ireland reached the Super 8 stage of the competition. Ireland arrived in the West Indies with much optimism but few commentators gave them much of a chance. Second Generation Irish Broadcaster, Dermot O’Leary, recently beat ‘The F Word’ chef, Gordon Ramsay, in a ‘taste off’ with his Irish Stew family recipe. Whilst the O’Leary family recipe is perhaps a guarded secret, a simple Irish Stew provides a filling meal that can be reheated easily for families on the go. It’s a filling meal which has been welcomed all over the world. For millions of people, June 16 is an extraordinary day. On that day in 1904, Stephen Dedalus and Leopold Bloom each took their epic journeys through Dublin in James Joyce’s Ulysses, the world’s most highly acclaimed modern novel. “Bloomsday”, as it is now known, has become a tradition for Joyce enthusiasts all over the world. There are a number of musical instruments used by traditional musicians. 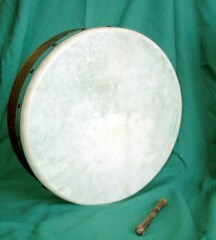 Many perceive the instruments as being Celtic or Irish in origin. But, truth be told, it seems that the Celts are to musical instruments as magpies are to metallic objects. What is now four provinces was probably five in ancient times: indicated by the Irish word for the provinces: Cúigí (meaning fifths). The fifths are Ulster, Connacht, Munster, Leinster and Meath.